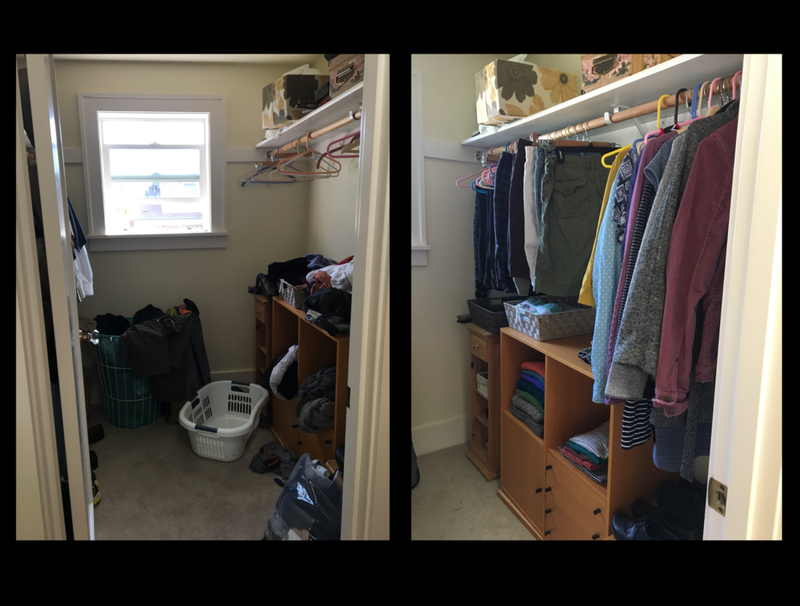 Enough already with the motivational words - let's take a look at some real decluttering results. Bite the bullet and decide what goes where. It will save you HOURS of pawing through shelves looking for C batteries, double-sided tape, phone adapters, plant food, and other vital possessions. They're not just for hiding your mess! Imagine how much better you'd feel choosing your outfit from the 'after' closet. It doesn't really matter which organizational system you use, you just need to implement something. We can always tweak it later. Try this: take out everything you are not currently using. If you can't bear to toss it all, put the extras in a box marked "backups". See if you ever retrieve them. Use up what you've got before opening something new.